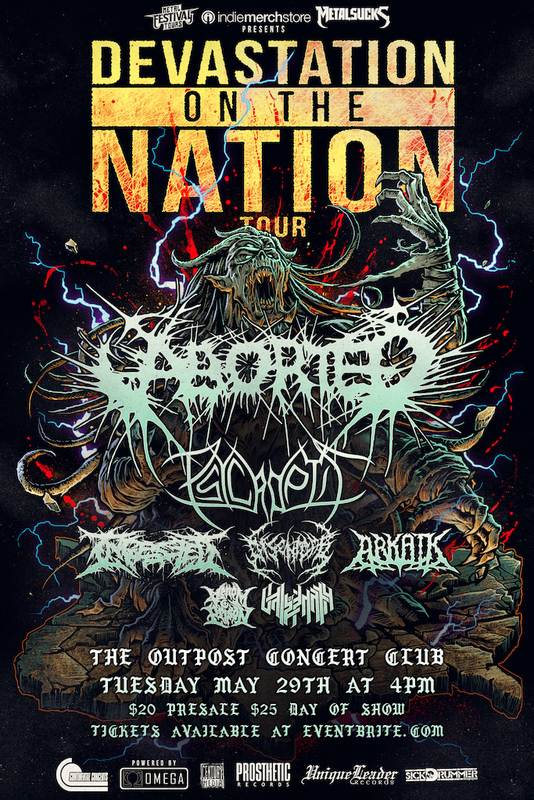 The Foundry has relocated the Devastation On The Nation Tour, scheduled for May 29th, to The Outpost Concert Club in Kent, Oh and we will be co-promoting the event with Brian from CB Entertainment. We've decided to relocated to give local acts the opportunity to perform with the tour package and to provide a more accommodating schedule to the patrons attending the event. All previous ticket purchases will be honored and tickets will still be offered via our account with Eventbrite.com. Refunds can be processed through your point of purchase as well. You can grab your tickets below! Posted on February 27, 2018 by Parker Shaffer. BravoArtist is bringing Can't Swim to Cleveland on April 14th. Tickets are now available at the link below. Supporting them will be Chase Huglin, Choir Vandals, Ennui and Dead Fall. Click HERE to RSVP on the facebook event page with more information or visit BravoArtist.com.